Fleet Management software has been out there for years, but not all software is created equal. We visit many fleet managers who have five or six different pieces of software to report on different aspects of their fleet and they are genuinely excited when we show them how to bring all areas into one task-based system that can look after every one of their fleet duties. So if any of the following questions strike a chord with you, it is certainly worth looking into the fleethelpline solution. Not only is this one platform, it is a truly a live environment with full predictive maintenance tasking direct to your driver. If a vehicle is due a service, the driverhelpline app will remind the driver, let them book it in the app and monitor the cost throughout the process with the team in the background sense checking every step of the way. Clearly, software alone is of limited benefit to fleet managers without the technical back-up for getting vehicles fixed, Whether we utilise your existing supplier network or our commercial partners for the best deals and real service innovation, we have a solution for you. Over the last 10 years we have developed the fleethelpline solution to be the ultimate, all-in-one fleet management system to save our customers time and money. Following-on from this success, fleethelpline is now available for any fleet from 10 to 2,000 vehicles. So if any of the following five questions strike a chord with you, it is certainly worth looking into the fleethelpline solution. 1. Do you have drivers that simply don’t do what they are supposed to do, when they are supposed to do it? 2. Does your fleet management system track activity, prompt actions and escalate to tasks when actions aren’t completed, pro-actively in a live environment? 3. Do you spend a disproportionate amount of time dealing with your fleet compared to other responsibilities you have? 4. Do you think garages charge you too much or do unnecessary work on your vehicles? 5. Do you know exactly what needs doing today in your fleet to keep your drivers safe and legal? Finally, to get you thinking, do you realise how important a driver app is as a tool to manage your fleet? How many times have drivers been asked to do things by email, text or letter and it all gets ignored? A notification via a mobile app in their hand is the least likely to be ignored, plus we follow-up by email and our technical experts chase drivers on the phone so they can’t escape their responsibility to stay safe and legal. 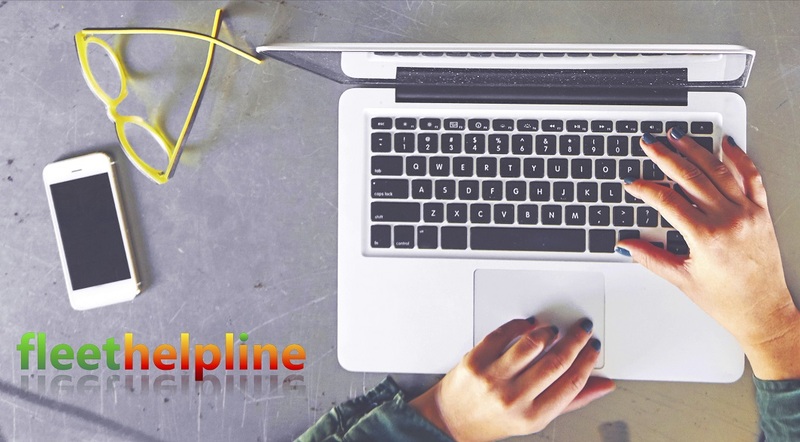 Fleethelpline is a task based system, so tyres, repairs, servicing, MOT’s mileage tracking, vehicle safety checks, renewals (and more) can’t be forgotten. We can tailor escalation to your requirements, therefore taking the worry out of maintaining and keeping your drivers safe and legal - we get the job done! And don’t worry, If you have a favourite tracking company or fuel card, no problem as long as they can supply data we can bring it into fleethelpline and integrate it into what you need to monitor. fleethelpline has what you need to manage your Fleet, so why don’t you get in touch here to find out more. If you enjoyed our article, please share it on these platforms. 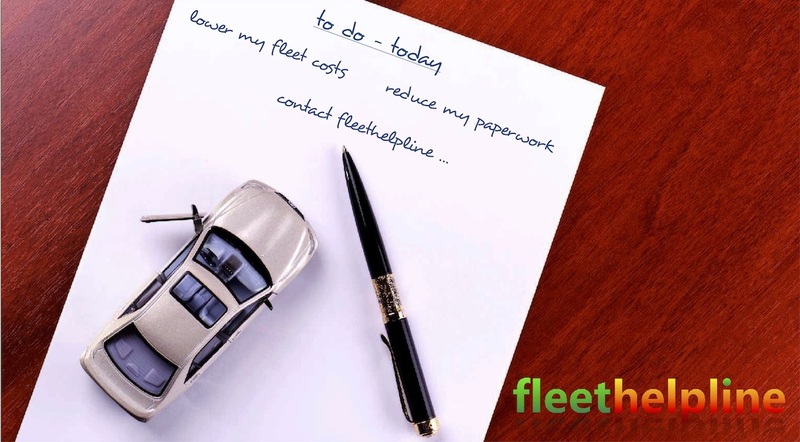 With fleethelpline you can become an even better fleet manager; our solution lowers your costs and controls you drivers and vehicles. It’s amazing how many fleet managers say, “I am happy the way we are”, but in their next breath complain about their workload, the drivers or all the other jobs they have to do - and in some cases all of these! You need to recognise the issues and work on the ‘must-haves’. See how the issues which we commonly solve for our customers apply to you. Technology has come a long way over the past 10 years and unless fleet managers embrace it, they won’t be able to say with confidence that they run an efficient and cost effective fleet. We’re not suggesting you can’t do your job, but there’s always room for improvement right? So if your systems can’t cope with your growing fleet workload or if you simply haven’t got enough post-it notes to properly address the needs of your drivers, you need to recognise the issues and work on the ‘must-haves’. We’re not just talking about your company car drivers here, due to tax changes there is a huge movement to cash-for-car schemes. If drivers are supplying their own vehicles it is extremely important for fleet managers to be able to control a ‘mixed’ fleet on one platform. So everyone who uses a vehicle on company business, everyone who claims mileage expenses, needs to be managed to ensure your business is totally compliant and fulfils a duty of care to these so called ‘grey fleet’ employees. 1. Managing the fleet isn’t your main job. Whether you are a full-time fleet manager or the fleet is just one of your jobs, regulatory compliance and cost control are critical. 2. You just can’t keep up with the data. No surprise really when you need to manage so many people and so many events, because data alone needs to be turned into information, then into tasks, then into actions which get resolved. 3. Your drivers don’t take responsibility. Sometimes drivers seem incapable of helping themselves. They say they are too busy getting on with their job to have a quick look around their car to make sure it’s safe - so you’ll only hear from these guys when there is a problem - and boy will they let you know about it! 4. You’re paying too much for services. Perhaps you can’t stop your drivers popping-in to their mate’s tyre shop or main dealer to get things fixed. Without an enforced discipline and deals with major suppliers you will definitely be paying too much. In short, if these issues aren’t addressed, the fleet you are managing will either be unsafe, the drivers illegal or it will be costing you too much - unfortunately these are all career limiting situations. Use a live, task-based system. There are a number of systems out there to help you, but make sure they have some pedigree and have a few years under their belt at managing the complexity of fleets. Shy-away from systems generating monthly reports in favour of a live dashboard on your screen with instant alerts set up for you and your drivers. Get first class technical back-up. Whether you use the fleethelpline motoring gurus who know all there is to know about keeping fleets on the road, or you choose another partner, they need to know a Mondeo from a Mini to make sure the job gets done properly. Use an app to communicate directly with drivers. Our driverhelpline app is powered by fleethelpline system data and gets drivers to log a Vehicle Safety Check and book repairs all with the back-up of our technicians. They should never miss an MOT, miss a service or drive around in a car with worn tyres or an over-mileage car ever again. Work with suppliers who have more than just buying power. With fleethelpline you not only get the best deals, but we pass savings on to you rather than keeping them for ourselves. Not every fleet management company does that! We’ve got what you need to manage your Fleet, so why don’t you get in touch here to find out more. How interested are you in saving 25% on your car and van fleet running costs and making the whole process efficient? Your cars and vans are a key ingredient in your business success, whether they are part of an employee benefit package which allows you to secure and retain the best talent, or a mission-critical way of getting your products and services in front of your customer. You need your fleet to do a job, your drivers to be safe, vehicles to be legal and you need to operate at the lowest cost; that’s quite a juggling act, particularly if Fleet Management isn’t your only job. So let’s give you an insight into where we can save you money on your fleet running costs. Clients who have embraced the fleethelpline solution not only have fleets which deliver the needs of their business, but they have also lowered their fleet running costs by over 25% - and now the fleethelpline solution is available to you. The fleethelpline platform is unique in the UK marketplace, using a live management dashboard which answers the question; “what do I need to do today?”. Plus we have skilled account managers & vehicle maintenance controllers together with a state-of-the-art driver app to give you an all-in-one solution. So you’re asking how we save you money right? Quite simply we use technology, processes and people working within a diligent environment to get the job done; so let’s give you an insight into where we can save you money on your fleet running costs. 1. Driver Control. “The best money saved is the money you don’t spend” is the principle we live by in managing your car and van fleet; we treat your vehicles as if they were our own. Our processes make sure your drivers do not use their favourite garage or get work done without authority and every job is scrutinised for cosy savings. We also exert significant driver control through the driverhelpline app’s vehicle safety check so drivers cannot shy away from their responsibility to report damage and it’s causes. 2. Supplier Choice and Management. We have a network of over 6,000 service centres nationwide with professional, trained staff, so we give valid guarantees and warranties. We get the work done at the lowest cost, mainly due to our buying power and our supplier’s efficiency. Importantly, fleethelpline maintenance controllers ensure that you only get work done that you need; that means you don’t get charged for add on’s like an air-con service, wipers, or tyres unless they are absolutely necessary. 3. Warranty Claims. We manage any potential warranty claim to maximise the manufacturer’s contribution. It takes time, effort and relationships to ensure manufacturers take their responsibilities seriously, so we use our product knowledge and chase the manufacturers to make sure it doesn’t hit you in the pocket. 4. Technology. The best fleet management systems track activity, prompt actions and escalate to tasks when actions aren’t completed, pro-actively in a live environment. The unique fleethelpline system means you don’t have to wait for out-of date reports as your Account Manager constantly monitors the system to make sure we know what we need to do today to manage your fleet. 5. Downtime Management. Any time your vehicles are off the road it’s costing you money. The fleethelpline solution maximises vehicle uptime by constantly challenging lead times, service and repair processes and the need for a replacement vehicle. At fleethelpline, personal service and transparency means you get the best solution to keep your drivers on the road at the lowest cost so you can sleep better at night. We work to get you keen pricing on major day-to-day running costs from servicing, mechanical repairs and tyres to car rental, as well as everything in-between. In the words of one of our clients who operates a fleet for 550 technicians “We simply wouldn’t manage if you took fleethelpline away”. So if you thought hiring a Fleet Management company would be an on-cost, we hope we’ve convinced you that this is definitely not the case; in fact we pride ourselves in lowering your fleet running costs so your business saves money. We believe that we have the best solution for running a fleet on the market, but appreciate there are many companies out there making claims like this. 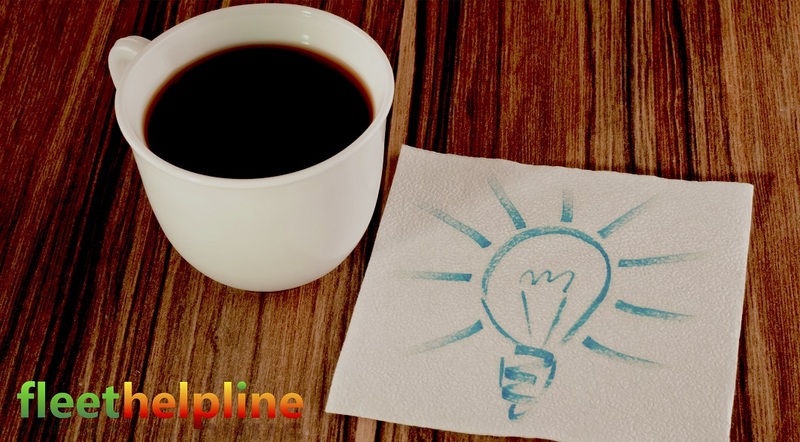 So get in touch here and we’ll work to give you the lightbulb moment! ... and let us know what we can do for you today. Build me a solution. Show me a demo. Join our social conversation. we've sent you a little something.